Excellence Reporter is conducting 1000+ interviews on the topic: What is the Meaning of Life? In a time of so much turbulence and seemingly insurmountable challenges, this project is dedicated to inspiring awakening and insight. Contributors to the site include author Rev. John Dear, activist Bill McKibben, yoga innovator Ana Forrest, Fr. Thomas Keating, Nyikina Traditional Custodian of Western Australia, Dr. Anne Poelina, and Arun Ghandi. CEE’s Original Caretakers Program Director, Mindahi Bastida, also participated. Excellence Reporter is also collaborating on the Charter for Compassion and with Compassionate Cities working towards meeting UN Sustainable Development Goals. The sky was black and beautiful. The stars shone above like glistening guardians of the night. Guided only by fire light, we scaled the Amazonian hillside. I yearned to take my shoes off and so I did. I wanted the soles of my feet to touch the silky, black soil that nourished the rainforest all around us. I wanted to plant myself to the land, like hundreds of different tree species do, so silently and wise. Constellations spoke stories to our skin and I felt alive with gratitude, joy and amazement. The leaders of our pack—The Yánesha Indigenous Peoples of central Peru—guided us to a beautiful rock outcropping that they have prayed to for generations unknown. The medicine man of their community made offerings of tobacco, hoja de coca, smoke, and beautiful words. “Abuela. Abuelo. No queremos oro ni plata. Queremos la vida,” he pronounced to the night. “Grandmother, Grandfather Stone. We want neither gold nor silver. We want life.” I shuddered with joy and pride, that I could be a human among this human…a human among these humans. Then, one by one, he invited the souls who came to join him to stand before the sacred stone and share their heart’s dream. A collection of Peruvian students, professors, and local community members offered their sincere words to the rock, to the soil, to the sky, to the plants, and to the spirits that held us in a cradle of beauty. Finally, the people of the North, the people of the Eagle, stepped forward to state their cause and plant a promise of support at the side of their Condor relatives. Dr. Greg Cajete, of Santa Clara Pueblo. Jacquelyn Cordova of the Diné nation. And myself, a mixed blood of Diné, Cheyenne and other bloodlines. We came forward to give our songs, the precious words of our language, our deepest prayers to our Yánesha relatives who took us in so graciously. The sacred pipe of the Plains People was laid on the ground before the stone and co processes that would be appropriate for the creation of our own lessons and units. We were determined to design language curricula that effectively taught the youth how to speak our dying languages. There was a lot of emotion to this process. For 500 years, all of our nations had been told, over and over, that our cultures were inferior to the rest of the world. For many of us, we had come to believe this was true. And so even though we yearned to spend time in the communities, ceremonies, pedagogies and learning styles of our people, many of us felt as if it was not enough. We had come to believe that in order to have success we would have to play by the rules of the ruling class. For instance, many of us believed we would have to teach in secular, university settings to be real teachers and to teach real things. Dr. Cajete and I sought to shatter this illusion. We spoke stories of our own experiments in community education. I told them about how I organized 100 Diné elders, children, parents and teenagers to create our own summer school. I talked about how we devised the curriculum ourselves in a liberated space. I showed pictures of all our classes which included lessons in weaving, traditional foods, land restoration, traditional architecture, philosophy, sacred songs, botany, yoga, moccasin making and other topics that were important to us. I showed them how we didn’t ask for any government permission to do this and did not adhere to any state education standards. I showed them how my community members, some of whom did not even graduate high school, created entire plans of learning that were implemented with incredible success. I showed them how our education doesn’t have to be like Western education. It can be intergenerational, instead of age-stratified. I showed them it can be communal, instead of individualistic. I showed them it can occur outside, instead of in fluorescent lit rooms. I showed them we can share the work of teaching with all the students, instead of positioning ourselves as the only experts. I showed them we can learn through doing an activity instead of reading about it. I showed them we had more than enough knowledge and cultural metaphors to be effective educators in our own right. After my presentation, I had the extreme honor and privilege of working with a group of Yánesha educators as they devised their curriculum. We followed the Zais model as explained to us by Dr. Cajete and outlined every facet of the teaching plan. 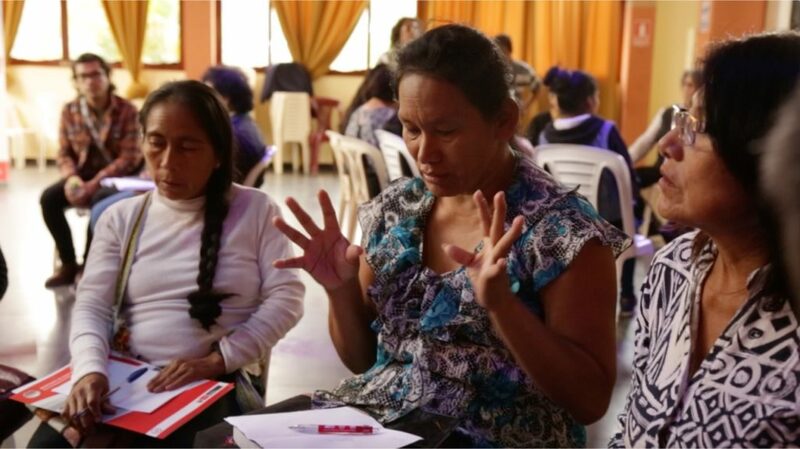 They decided they would teach the Yánesha language to their people through “La Siembra,” or the traditional practice of planting seeds and growing forests. They decided that their tribal values and paradigms would guide the process and the vocabulary would arise from words needed and used while planting. About 8 of these professionals engaged in vivacious discussion about how it would all go down. I felt joyous to see that they were connected to each other and to their work. Our prayers planted just one night ago were already being answered. What a blessed time it was. I am home now. Back in the deserts of my people in what is now known as the Southwestern United States, but what I know as Diné Bikeyah. I love the way the sun shines and the sand beams. I am a long way from the lush forests of Amazonian Peru, the land of Yánesha brothers and sisters. And yet, a piece of me still lives with them and I have carried the lessons they bestowed on me. I am deeply honored to have had this miraculous and magical opportunity to board a steel bird, fly across Turtle Island, and establish kinship and solidarity with the people of the Condor. And what a smile I get when I realize that this is just the beginning. Please enjoy the Program Description and Video below. 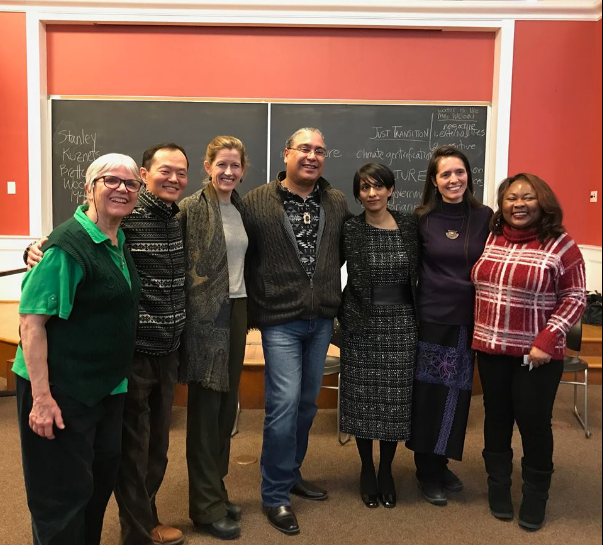 The “Original Caretakers Program” of the Center for Earth Ethics at Union Theological Seminary; The Contemplative Alliance, an Initiative of the Global initiative of Women (GPIW); and the Lake Erie Institute invite you to this groundbreaking event. Background This program grew out of a series of GPIW sponsored dialogues with Native Americans. 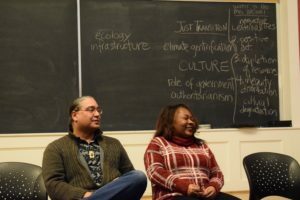 It will be the first in a series of programs offered throughout the country intended to bridge the gap between Western anthropocentric consciousness and indigenous holomorphic (holistic) consciousness by offering non-natives an opportunity to listen in as Natives speak to each other in their own terms about how they experience the natural world. Pilot dialogues of this kind have demonstrated their power to break through anthropocentric (human centered) categories of thinking to seeing ancient perspectives that address the critical issues facing Mother Earth and humankind. An Evening with Three Thinkers in the Native way. 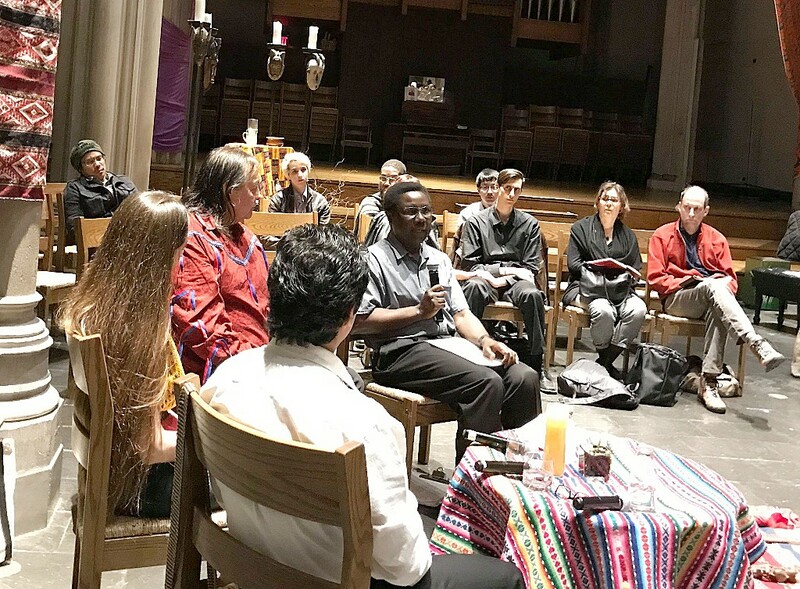 The North Dakota Standing Rock prayer resistance in 2016 brought the world’s attention to an invaluable perspective, that Native Peoples have a bond not with the human race but the with living Earth. Over thousands of years, the dominant mode of human consciousness became the one we see today: technologically adept and increasingly self-absorbed—an anthropocentric or human centered consciousness that left behind a holistic mode of consciousness that was equally humanity’s endowment. The building of hierarchical and object-based “civilizations” with all of its glories and horrific conflicts came at the high cost of a steady loss of our holistic consciousness with its spiritual connection to nature. The good news is that humanity’s holistic mode of consciousness is still active among Indigenous Peoples and may now be reemerging from its millennia-long obscurity. In the last year, for example, Indigenous groups have begun to form an alliance of Natives across the Earth in an effort to heal the devastation being wrought by anthropocentric “development.” For millennia, indigenous people throughout the world have lived in ways that maintained a balance between human life and the life of all other beings. Over time, as various cultures became more and more anthropocentrically (technologically, hierarchically, object-ively) oriented, they have disrupted that delicate balance. The environmental and ecological movements have emerged in reaction to the disastrous effects of that imbalance but have continued to apply an anthropocentric focus and anthropocentric solutions. They have largely ignored the holistic indigenous wisdom that maintained the balance between ourselves and the earth for tens of thousands of years. The holistic or holomorphic consciousness engaged through their traditional cultures is different in quite important ways from the holism found, for example in Buddhism, Hinduism, Sufism, Christian mysticism or many reported altered state experiences. The audience will discover their own parallels as they listen to Natives talk about THEIR holistic consciousness without immediately “translating” what they’re conveying into categories of what we know or think we know. The dialogue will explore such subjects as ceremony; the “I” as “the we” way of thinking; awareness of balance and blessing; awareness of the consciousness of all beings including those beings that anthropocentric thinkers have defined as inanimate—such as water and stone—or have defined as lacking consciousness such as trees. In this time of environmental and psychological crisis for the “developed” world, Native voices and Native thinkers bring, in their presence and outlook, calm reflection and healing wisdom to an agitated and unbalanced world. In the past few years, some non-Natives have begun to listen to what the Indigenous people have to say to us, their “younger brothers and sisters.” Their perspectives go to the heart of a potentially awakened and emerging consciousness that is both ancient and new. Three exceptionally qualified individuals representing different indigenous cultures join in sharing their experiences and traditional wisdom. With Reflections by: Aliou Cissé Niang, New Testament faculty at Union Theological Seminary and native of Senegal West, Africa. Mindahi Crescencio Bastida Muñoz (Otomi) is currently the Director of the Original Caretakers Program in Center for Earth Ethics at Union Theological Seminary in the City of New York and General Coordinator of the Otomi-Toltec Regional Council in Mexico, a caretaker of the philosophy and traditions of the Otomi-Toltec peoples. He has been an Otomi-Toltec Ritual Ceremony Officer since 1988. 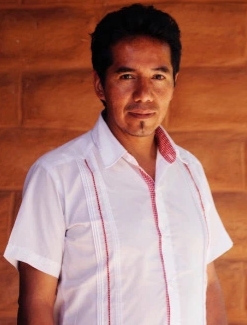 Born in Tultepec, Mexico, he holds a Doctorate of Rural Development from the Universidad Autónoma Metropolitana, Mexico. 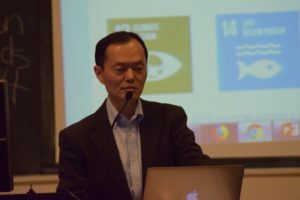 He has written extensively on the relationship between the State and Indigenous Peoples, intercultural education, collective intellectual property rights and associated traditional knowledge, among other topics. He has been coordinator of Postgraduate Academic Studies for Peace, Interculturality and Democracy, Universidad Autónoma Indígena de México (2014). 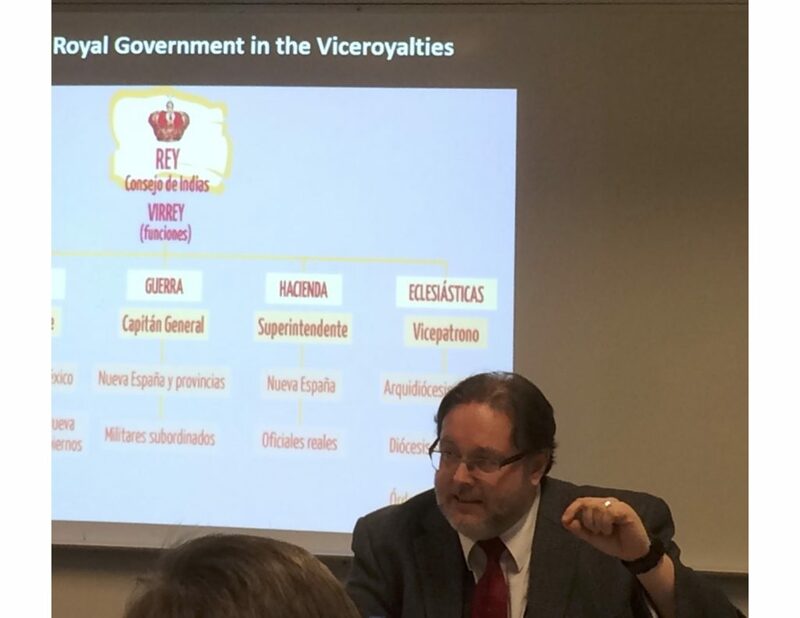 He was advisor of the Provost of Universidad Autónoma Metropolitana-Unidad Lerma (2010-2013). Director of Sustainable Development Division, Universidad Intercultural del Estado de Mexico (2004-2010). He also has been or is consultant of the UNDP, UNESCO, UNEP, IISD and other international agencies. 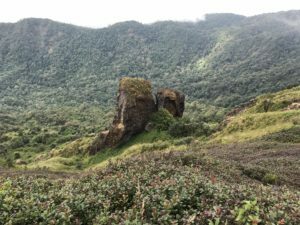 Mindahi is also deeply involved with the Biocultural Sacred Sites for Humanity, an Original Peoples Proposal, to be presented to UNESCO. He is working in the Process of Unification for the Latin American and the Caribbean Region that was initiated in Sierra Santa Marta by the Kogi and the spiritual authorities who participated there in 2013. 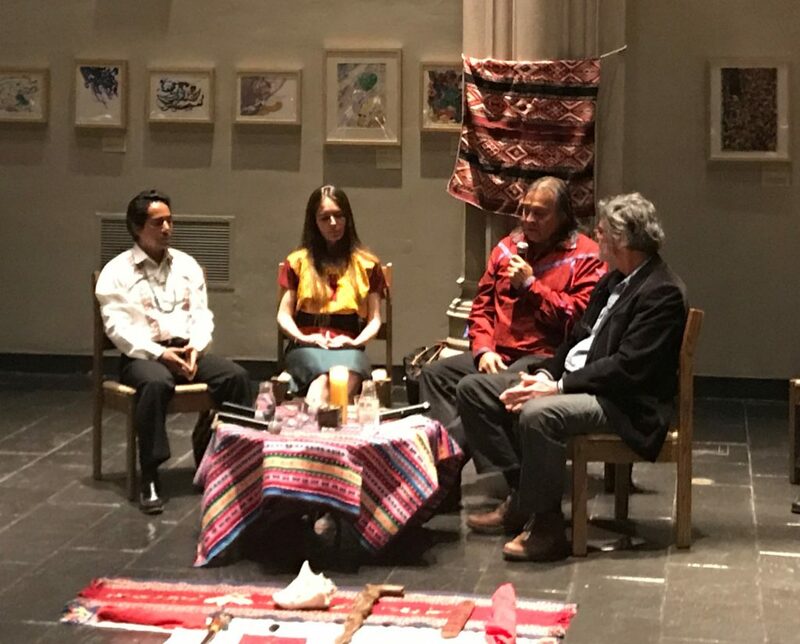 Geraldine Patrick Encina (Mapuche descent) is a third-year Scholar in Residence at the Center for Earth Ethics, member of the Otomi-Hñahñu Regional Council in Mexico and an in-depth researcher of the ancestral ways of conceiving and measuring cycles in Mesoamerica. She understands why the Otomi and Maya chose 2012-2013 as the time for the closing and opening of big cycles. Geraldine Ann Patrick Encina is a member of the Otomi-Hñahñu Regional Council in Mexico, and a professor of ethnoecology. Born to Chilean parents of Celtic and Mapuche origins, Geraldine received her doctorate in ethnoecology and social sciences from El Colegio Mexiquense, A. C. in 2007; she also holds a bachelor’s degree in biological sciences. 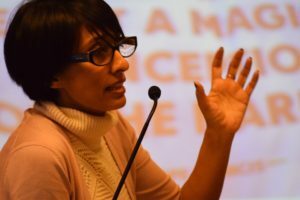 She has been a visiting professor in Honduras and Argentina, and held faculty positions at several Mexican universities. Her research focuses on archaeoastronomy and cultural astronomy, particularly on ancestral and current ways of measuring and conceiving time and natural cycles in Mesoamerica, especially among Maya, Nahua and Otomian cultures. Geraldine brings extensive knowledge about the astronomical underpinnings of religious celebrations among Mesoamerican cultures. She analyzes the implications of Catholicism in current spiritual practice in Mexico and Guatemala, explaining how and why syncretism has worked for them in the past five hundred years. John Briggs is a Connecticut State University Distinguished Professor of Aesthetics and Creative Process, author of Fire in the Crucible and Fractals, the patterns of chaos, Metaphor: The Logic of Poetry, and Seven Life Lessons of Chaos, among other books focusing on the subjects of creativity, Chaos Theory, and new scientific theories of wholeness. He holds a PhD in aesthetics and psychology from the Union Institute. John and Robert Toth of the Contemplative Alliance are currently at work on a book that explores the possibility and necessity of awakening the ancient holistic consciousness still active among many traditional peoples as a foundation for addressing the climate crisis and repairing our current cannibalistic relationship with the natural world. My speech in the Indigenous Peoples Roundtable. Feb 11, 2018. To include youth, children, elders and women in the capacity building and the decision taking processes. To acknowledge Indigenous Peoples wisdom around the relationship humans-nature. Cities cannot live without nature and rural areas. To work and pull together with local, national and international stakeholders and governments in the implementation of the New Urban Agenda. Indigenous peoples need sustainable development financial support specially for the implementation of the New Urban Agenda among indigenous peoples territories and those who live or interact with the cities. 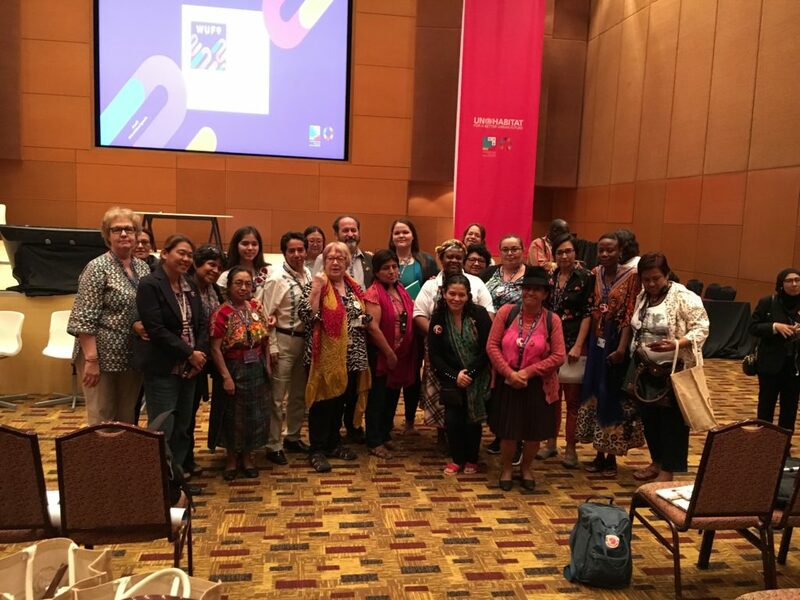 Indigenous Delegation at the World Urban Forum 9, Kuala Lumpur, February 7-13, 2018. 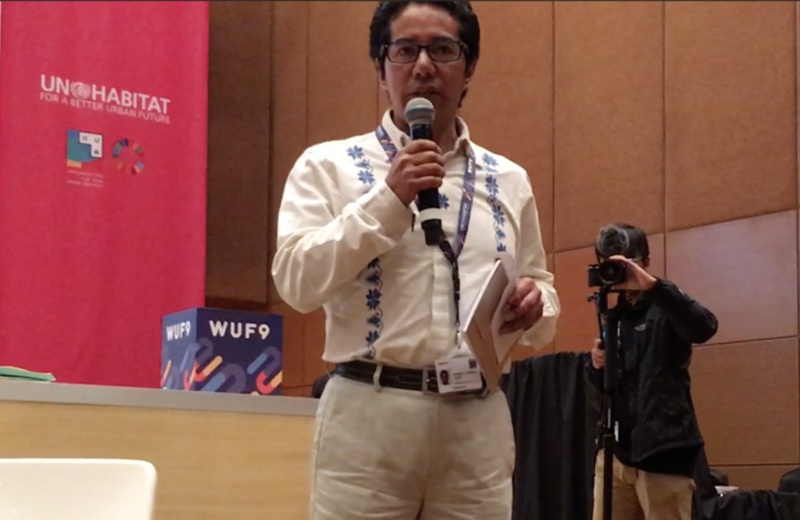 There was also a Special Session of Civil Engagement and Participation of the Ninth Session of the World Urban Forum, where Mindahi Bastida-Munoz delivered a message about the importance of indigenous peoples’ participation in the public agenda of UN-Habitat. 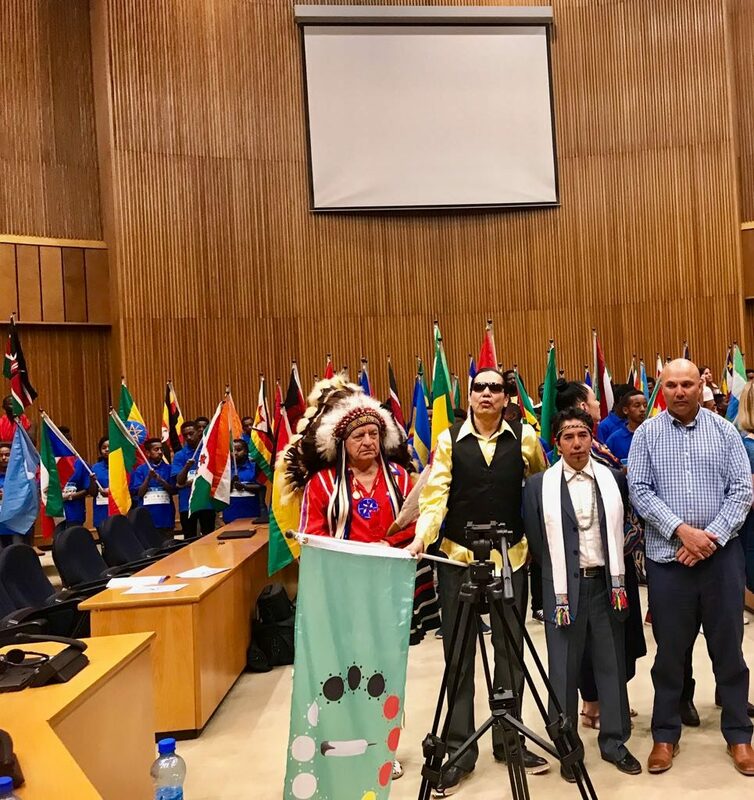 He asked the leaders of the world, in reference to the New Urban Agenda, to acknowledge indigenous peoples’ participation in the decision-making processes. Additionally, he noted that a new relationship between the urban and rural is needed. Modern cities cannot live without the rural areas, from where water, oxygen, food, materials come from. Also, rural areas are sinks for carbon dioxide and liquid and solid wastes. Civic engagement and participation from all actors is key: governments cannot achieve the New Urban Agenda on their own. We need all, and we need that no one is left behind in this inclusive process when talking about cities. 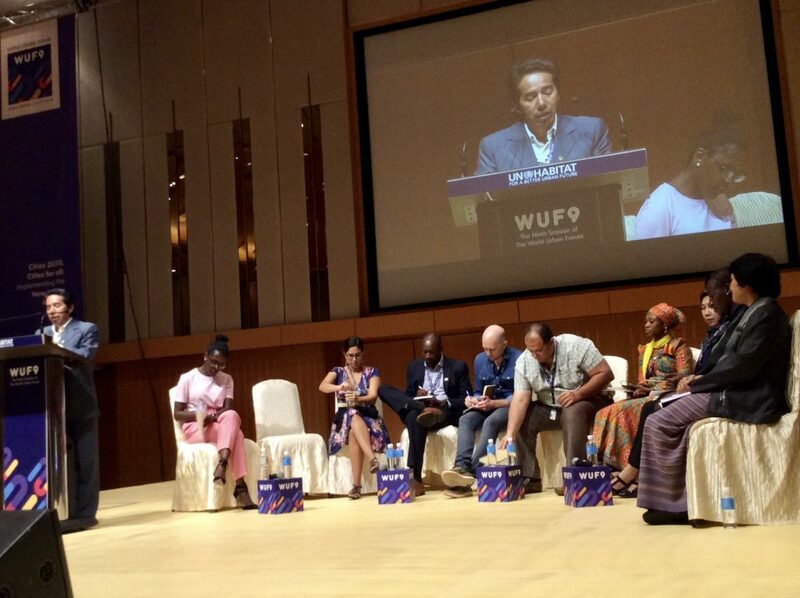 Mindahi Bastida-Munoz speaking at the Civic Engagement Special Session, WUF9. During the forum, we distributed the Indigenous Peoples and the City Declaration in the Civic Engagement Session, the Indigenous Peoples’ Round Table and the Children and Youth Round Sessions. 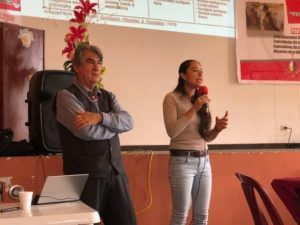 The Indigenous Peoples and the City Declaration was produced last year by indigenous representatives from different peoples, including Mapuche, Kichua and Otomi, most of whom were young. We were invited to explore means to emphasize the importance of the recognition of indigenous peoples and communities in the design, implementation, monitoring and evaluation of the New Urban Agenda, adopted in Quito, Ecuador, in October 2016 during the UN Forum Habitat III. Mindahi Bastida-Munoz had previously participated in two side events on Indigenous Cities organized by UN-Habitat Youth during the regional meeting for Latin America and the Caribbean on Housing and Sustainable Urban Development Habitat III held in the city of Toluca, Mexico, on April 19, 2016 and during the 15th Permanent Forum on Indigenous Issues held in New York City on May 13, 2016. He was the coordinator of this declaration. For more information, click here: Indigenous Peoples and the City. Let us be the change we want to see in the world by living according to the teaching of the Golden Rule as stated in different religious holy books, which says “Treat others the way you want to be treated”, was the call of the organizers of an Interfaith encounter for a Culture of Peace, Harmony and Human Dignity. The event took place on February 2nd, 2018, as part of the World Interfaith Harmony Week of United Nations. 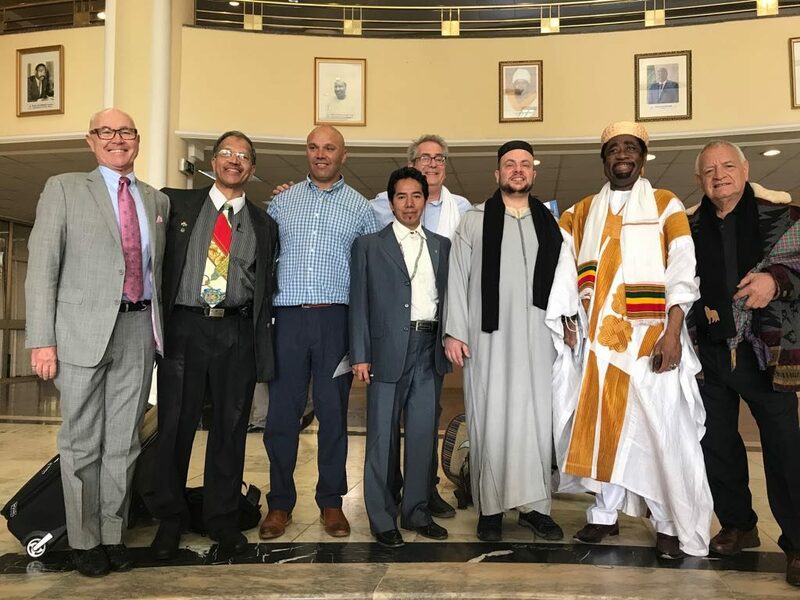 It was organized by the Inter-Religious Council of Ethiopia, the United Religious Initiative-Africa, U-Day Festival, the African Ombudsman and Mediators Association and World Peace Prayer Society in partnership with the Africa Union Commission Department of Civil Society and Diaspora Directorate. Guest of honor President of the Federal Democratic Republic of Ethiopia gave the opening remarks while Honorable Mr. Antonio Guterres, Secretary General of the United Nations, offered a message of peace. Religious and spiritual leaders also spoke words of wisdom and hope, among which featured the Patriarch of the Ethiopian Orthodox Church, the President of Ethiopian Islamic Affairs Supreme Council and international figures like Thai Buddhist Monk Venerable Phramaha Boonchuay Doojai as well as representatives of the Orthodox Jewish, the Bahai’ Faith and the Sikh Faith. 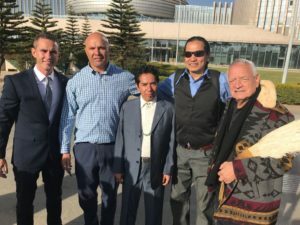 Indigenous spiritual leaders whose call for peace and unity has been heard beyond their local regions, were invited to share how they too remind their people of the covenants and laws of origin, that speak of how to treat Mother Earth and all her beings with kindness, respect and love. Indigenous Delegation at the Closing Official Ceremony of the Event at the Africa Union Commission Plenary Hall. Phil Lane Jr., Chairman of the Compassion Games, Sam Cook and Australian Indigenous representative and Mindahi Bastida, from the Otomi Peoples of Mexico and director of Original Caretakers initiative at the Center for Earth Ethics, each had the opportunity to expose their commitment to care for Earth and all beings to achieve Peace, Harmony and Dignity. Message at the African Union – Addis Ababa, Ethiopia. February, 2018. My name is Mindahi Bastida, of the Otomi-Toltec ancestral Peoples of Mexico. I am representing the Center for Earth Ethics and its Original Caretakers Program. It is a big honor to greet Ethiopia, Land of Origins. We pay respect to the original peoples and territories and also to the African Union. We greet the original peoples of Ethiopia and all of Africa as an important continent that can give light to the world in times of Climate Change and concerning biocultural erosion. According to our prophecies and ancestral knowledge, 5000 years B.C. ago some human beings began to go in another direction and began to take over Nature. Others remained as caretakers of what original peoples call Mother Earth, living in harmony and balance with divine creation. But in many places harmony was broken, and this situation prevails until today, deeply affecting the material and spiritual compounds of life. Furthermore, the invasions and colonization of the world that biocultures were affected and many species and cultures disappeared provoking imbalance of the good living. In spite of the devastating effects of global colonialism, many Original Peoples, also known as Indigenous Peoples, have successfully kept their ancestral practices, cosmologies and philosophies. An ancient basis of wisdom is known collectively as the life originating principles, through which we continue to interact with the sacred-spiritual, nature-material and with other cultures. This original counsel, based in the original instructions, brings together our ancestral wisdom, our current perception of the endangered world and our actions. People, who have acted as allies of ancestral cultures and wisdom for the permanence of life and of original peoples, are aware of the mounting crisis that all beings face in many levels. The world is experiencing the end result of a different kind of knowledge whose implementation has been provoking a des-harmonious, fragmented and highly destructive way of interaction and relationship with nature, cultures and celestial bodies. More and more, it becomes evident that the recovery of harmony, peace, unity and dignity lies in our return to the sacred origins of the ancestral wisdom, where human beings are an integral part of creation and not the peak of creation. The recovery of harmony is not just tangible but also intangible, and collective consciousness is vital to address harmony in the spiritual and material worlds. This harmony and balance must be reflected among all beings, according to time and space order. Then, peace can be achieved not just among human beings but also with Nature and Mother Earth. It is urgent to restrict the anthropocentric thought and return to the original principles. We need to make peace with Mother Earth and her sacred elements and nature. Peace and Dignity are intertwined principles; we as human beings can achieve dignity if we go beyond the greed and commodification of “things” and respect life through reciprocal actions. We want to strengthen families, communities, biocultures, Mother Earth and our relationship with all beings working together and pulling together. We want an integrated world based on dialogue, reciprocity and complementarity that will carry all through far more than just seven generations. For us unity is all about the Unification Process. This process is a mandate from indigenous spiritual leaders to respond to our planetary and civilizational crisis, emphasizing that all beings, including the celestial bodies are integral components of the life systems, must be taken into account to produce balance and harmonization in the world. Strengthen the work of those who, in continuity with their “originating principles/law of origin”, sustain to this date the ancient wisdom and spiritual traditional practices that preserve the sacred balance of Earth. Remind those who were given their “original instructions”, and that may have drifted from them due to their own historical processes, to revive their biocultural identity as a way back to their ancient ways, which will give them once again a sense of belonging and meaning in the sacred web of life. Bring awareness to those who have completely lost, or never had, the understanding that they too are an integral part of the natural world and as such need to learn they are here to contribute to sustaining it for themselves and for those who are yet to come. Practice tolerance, intercultural dialogue and mutual cooperation for the sake of biocultural diversity. These are among the strongest warranties of peace and security at local and international levels. In sum, we, together, in a Process of Unification, need to be engaged in restoring harmony and balance of Mother Earth for the sake of human life and all beings. We need to think and act at local and global levels and think beyond intergenerational equity: we must leave a legacy of good generations for Mother Earth. Kjamadi – May love and blessings be with us, the land of origins and your families. In my Kamba tradition, it is said that when it rains, God is spitting onto the earth, in order to help the trees, vegetables, and grass grow for the animals to graze. This is why elders in the Kamba tribe spit on young people when giving blessings. For the most part, Ukambani, made up of three regions, Machakos, Makueni, and Kitui, is a dry region. As the Kambas were traditionally and historically traders, the nomadic lifestyle allowed many to survive on the land, as they were able to travel all the way to the coast on the East, as well as the great lake of East Africa on the West. Unfortunately, when colonialism began in Kenya, many Kambas, as well as people from other tribes, were no longer able to practice their traditional form of trade, and so relying upon their ancestral land for year long sustenance became a practice that many had to adapt to. There is no large river in Ukambani, but there are streams which flow from the West, Eastward. For many, these streams are the main source of water which is relied upon, unless the rains are not in bounty. 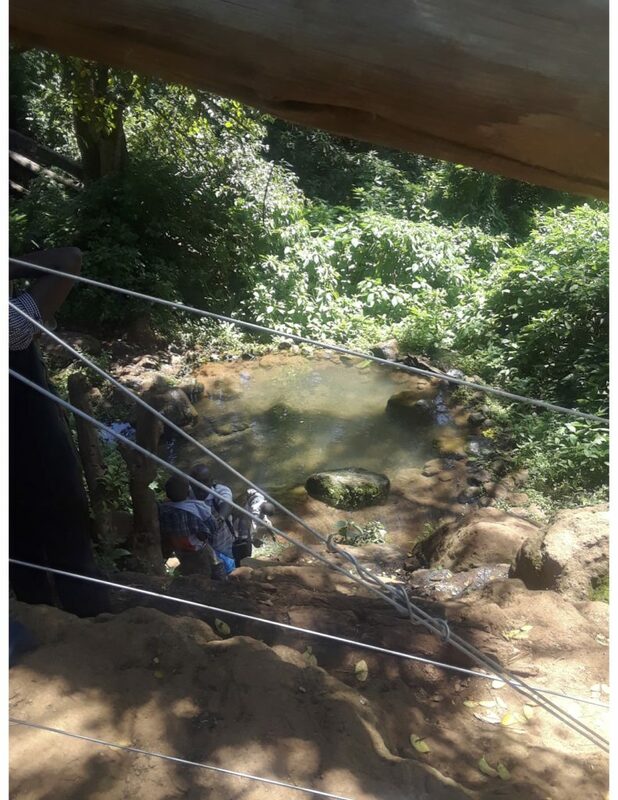 For the wealthy, who can afford to dig down into their land for water, the use of boar-holes is not always beneficial as the water in Ukambani is very salty. The option which has served much of Ukambani, both rich and poor, is the use of gigantic tanks which are connected to the rain gutters of homes and collects rain water. During the rainy season, from September to November, the tanks are able to be filled to capacity, and then support entire families for an entire year, just as long as God spits down sporadic blessings throughout the rest of the year. Many years ago, maybe five, there was a terrible drought in Kenya. My uncle Tony, who takes care of the Kasinga family farm in Makueni wasn’t able to grow a single thing, and to this day, is still working to rebuild the farm to its former functionality. Drought, however inconvenient, is something all Kenyans are used to and understand — despite the great fissure of land knowledge which has occurred with the past 100 year of European influence in Africa. We have been very lucky this year: coming back to Nairobi, one only needs to see the leaves in the trees and the deep brown of the soil to know that there were great rains. And here in Kenya, just yesterday, in the beginning of January, what all of us in Kenya understand to be the driest season, it rained. For generations, the tribes of central Kenya have always known that it never rains in January. Some -particularly those who are connected to indigenous ways- understand that this anomalous weather is because of a global climate crisis. However, most (especially those who practice Christianity) see this unseasonal rain episode as a blessing. Who’s going to be ungrateful of rain?, they claim. A sacred pond to the indigenous Kikuyu peoples, whose waters feed the streams of Eastern Kenya. Photo by author. When one reflects on what is going on in our neighbor country of Somalia, it would be simple to say that Kenyans do not have much of a water issue. For the most part, that would be true. Our water problem however, has to do with the same cause of problem for Ramapough Lenape in Mahwah, and the Standing Rock Sioux: late era capitalism. 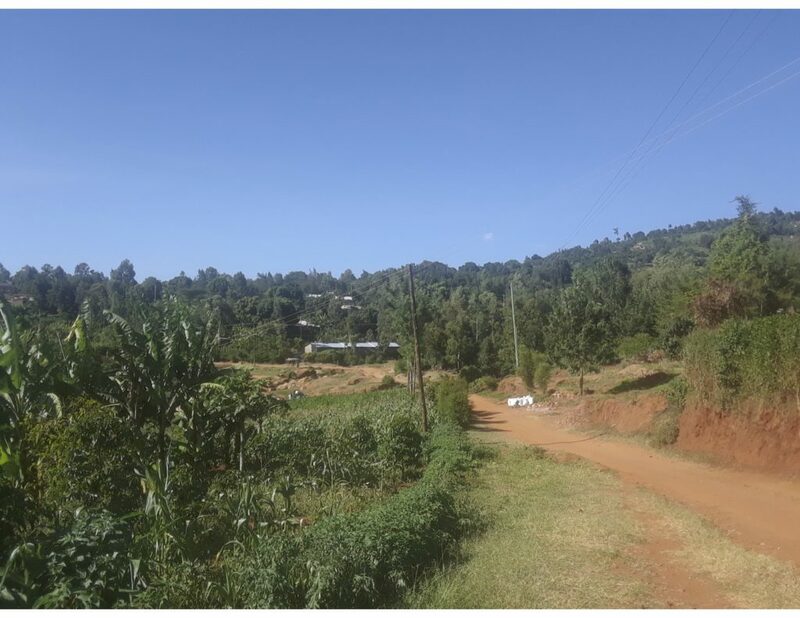 Despite shortages which can last up to a week, and the need to buy drinking water–or at least to heavily filter and boil all water–water in Kenya is quickly being seen as a commodity rather than a necessity. Even beyond the dozens of treated water bottle companies, who are also adding to the issue of plastic pollution, it seems as though corporations, and private investors international and domestic, are incredibly interested in the water grab, which we all know only leaves people more vulnerable than secure. Thinking up solutions to this problem, it would be easy for me to think that the solution for Kenyans would be to educate them on the importance of our interconnectedness in nature, but it’s not that simple, and maybe not the most appropriate of approaches. For over 400 years, Africans have been understood as primitive beings, more closely related in genetics to wild animals than the dignified European living in the city. It is for this reason that we are called monkeys and baboons, and asked offensive questions about whether we live in the jungle, wear shoes, or have lions as pets. When Pier Paolo Pasolini, in the 1960s wanted to make a film out of the myths of Orestes, he sought out what he thought would be the last untouched place on earth to be his setting-Africa. In fact, many Africans throughout the continent were offended by the director’s ignorance and perpetuation of a violent narrative which Europeans have used for nearly half a millennium to subjugate and enslave Africans. I believe that it is this mindset that is in need of changing. For the sake of surviving in these times when money is God, King and ruler, education–not nature and her wisdom–is considered to be the saving grace of most Kenyans. It is prayers to Jesus rather than stewardship of the Earth which ensure long term sustainability of a family’s prosperity. Though it’s easy to blame the Europeans for many of the problems going on in Africa–to the point that the discussion becomes unproductive–I have no trouble placing blame on the Europeans for our water–and all around nature–crisis. Living under western hegemony, Africans must be as Un-African as possible in order to have the skills necessary to live under late capitalism. As the agrarian lifestyle of communities was done away with when British colonists stole hectares of indigenous land, the agrarian lifestyle isn’t even a reality for many. The water crisis Kenyans are dealing with now, with European theology as agent, has less to do with shortages, and more to do with privatization and spiritual disconnect. Katilau Mbindyo is a second year M. Div. 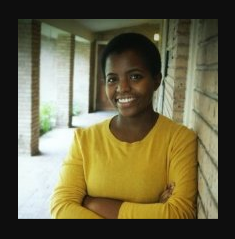 Student at Union Theological Student who is doing her Field Education at the Center for Earth Ethics. Traveling through Asia this Dec – Jan, visiting Thailand, Hong Kong and Japan, traversing throughout city and mountain terrain, observing climate conditions of rain and drought through floral growth in Nature, opened dialogue with park rangers, farmers, students and Buddhist monks on the effects of Climate Change in their lives and work. Global Warming. Thailand is a mountain forest land with lush valleys and water ways in a central basin continuing to beaches and Islands. 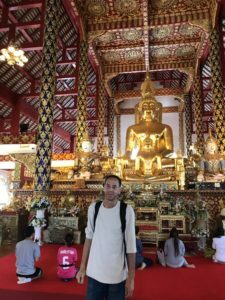 My travels took me from Thailand’s highest mountain, Doi Inthalon, 2,500 meters or 8,400 ft, south to the coastal region, an area named Trat, a peninsula in Thailand’s farthest land south west bordering Cambodia. The fertile and tropical monsoon climate, ideally suited to wet rice cultivation attracted farmers to the central part of the country, for hundreds of years, where the mountains drained streams into rivers, rivers passing through wide open flat lands and valleys, emptying into the gulf of Thailand. Thailand’s rice farmers have had to adapt to climate change, and its Critical Global Warming effects. 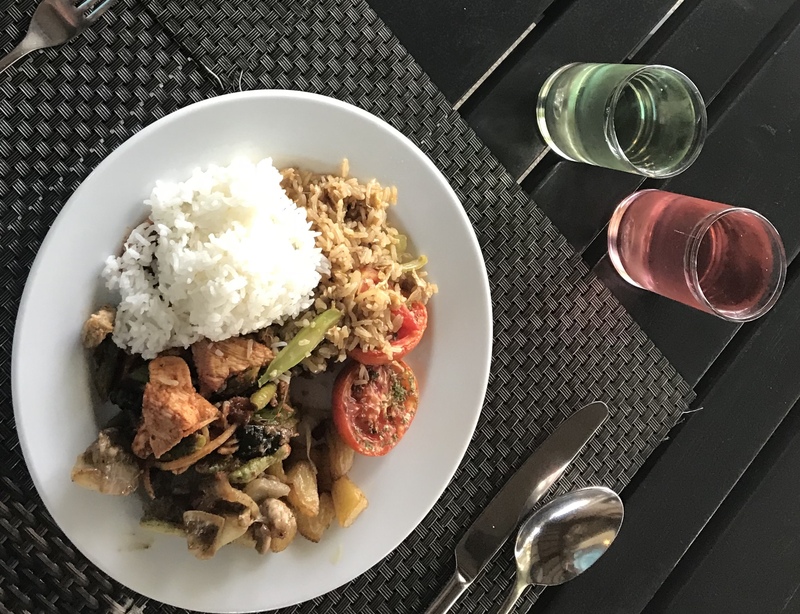 Rice has been Thailand’s traditional food crop and its main export product. Rice is grown on 50% of its arable land and 80% is exported abroad. Mountain villages depend on a sustainable healthy abundant harvest. Many countries depend on the 10 million tons of exported rice from Thailand, including the United States. Thailand’s losses due to floods, and droughts, which come spontaneously, as well as the natural order of its seasons, now being unpredictable, has their crop losses in the billions of dollars. I’ve had dialogue with central river rice farmers, on large farms, as well as, mountain village farmers in northern regions who are sustainable growers. They all are telling me the same thing, that Global Warming effects are getting more intense over the past few years. The government has provided Genetically Modified varieties of rice to grow in the times of excess water due to flooding and odd storms, and has programs producing drought resistant varieties. These are more expensive rice strains that would have to be purchased each season as they do not reproduce. 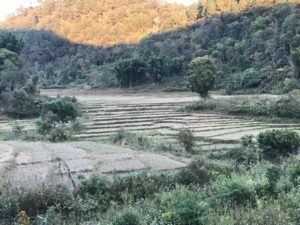 Rural mountain farmers spoke of being unable to afford these strains of GMO rice and some have awareness to stay away from modified genetic rice strains. The larger commercial farms are using these Genetically Modified strains of Rice as a direct result of the Global Warming Crisis. 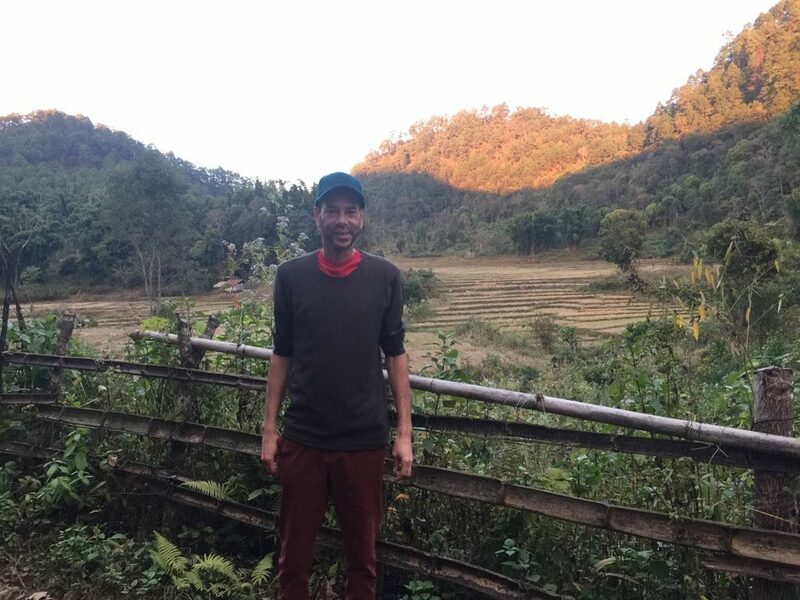 New farming systems in the mountainous regions I observed are constructed with natural technology: using large sized bamboo poles along the rice paddies to act as emergency drainage when sudden storms or unusual monsoon type rains flood the area. Heavy rain storms come in unusual patterns and directions not associated with the normal patterns of the seasons. New to the terrain are water catches for sudden droughts that can happen anytime; at times of the year when the rains are supposed to come, extreme drought conditions may happen usually followed by heavy rain which turns into flooding. The large corporate and government rice farms have added costly water release systems and elaborate watering systems. Throughout the north west region I experienced a consistent four day rain storm in December, the dry part of the year. I was told by several people this was unusual weather on top of unusual weather. Thailand’s government has pledged 7 billion over the next 3 years to alleviate damages and losses. Global warming is a costly affair of life and monetary-ism. Thailand’s other crops, such as rubber and fruit plantations in the southern region are also adversely effected by global warming climate change. Heavy rains for two years were followed by drought, with heavy losses in fruit and rubber production and rotting tree roots from excess water or dying from drought. Farmers and plantation workers from northern Thailand through to the southern peninsula have expressed that fruit trees flowering and harvesting are as much as two months off their normal growth cycle, which effects the insects`s cycle of life which effects the bird life’s cycle, not good at all. Thailand is currently the worlds largest natural rubber producer. High emissions of greenhouse gases, caused by the production of raw latex for rubber production, their factories and mills also contribute raw material waste. The loss of natural hard wood forest being cut and cleared for rubber tree plantations. In this case the emissions are much higher because of carbon loss from land conversion. Farmers and plantation workers have voiced their thoughts: the cause of Global Warming is a combination of factors. One of the main contributors towards Climate Change is the use of Fossil Fuels, along with Mass Deforestation, pollution of the air, lands and waters, the change of oxygen in our oceans and lakes due to toxic heavy metals from the worlds chemical factories, as well as electrical pollution. their mantra, they make awareness of thee Omni presence with in nature and ancestral spirits. 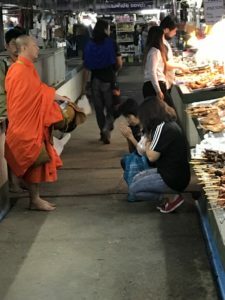 Thai peoples’s way of greeting and departing is with Buddha hands and a slight bow. They let me know they are smothered in the plastics, the motorized life style, bills and debts. Values need to change, people need to be allowed to change the life style from being pressed into a monetary system supporting the production of harmful things, besides the income in this system was spoke of as being insufficient for basic survival. Change to a sustainable was so we may all sustain, and that I should know this, coming form a country that is a main contributor of fossil fuel and greenhouse gases. Awareness of source of food and from farm to table. 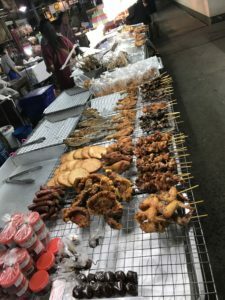 Food is abundantly pouring into the streets of Thailand through street vendors selling their fresh seafood, vegetables and meats, cooking on charcoal grills and carts with mini kitchens boiling delicious noodle dishes. 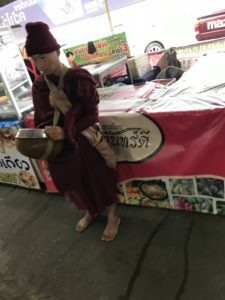 Many markets abundant with fresh fruit, veggies, specialty foods, treats and coconuts on ice -Thai people like to eat real food. Fast food chains that are there look out of place surrounded with rows of street food and colorful fruit stands and fresh juice. I walked into a “super” market, very odd experience, a few people wandering around, everything in plastic, quietly suffocating, I looked through the glass widow and across the street, the outdoor market was thriving with fresh everything, people,color, laughter and energy. I wandered out not buying anything, the only time I was in a “regular” store while visiting Thailand. The markets are amazing arrays of tropical vegetables and fruits, some familiar foods with different variations. 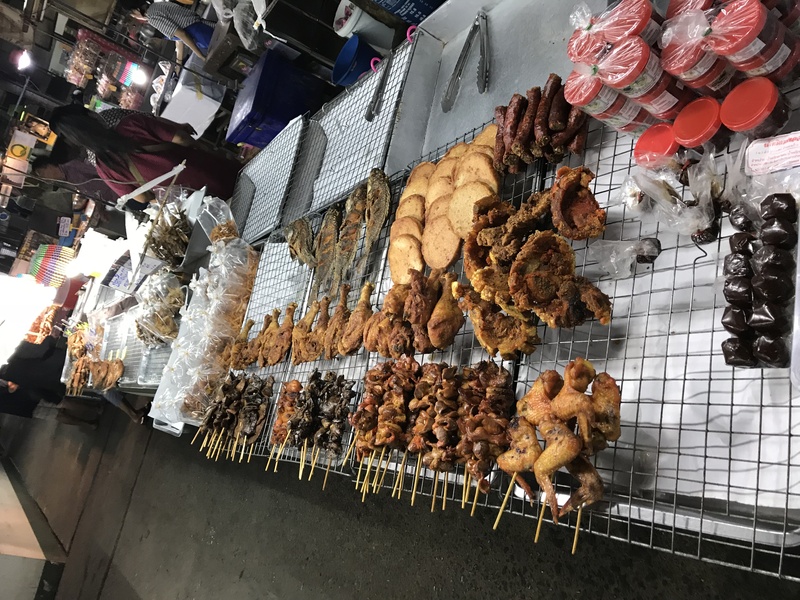 Food stands cooking different types of Thai food from northern, north east or west, southern style cuisine. Live turtles, fish and frogs, lobster, dried fish and snakes, bugs, grubs of all kinds. I observed their closeness to their food source, their overstanding of where their foods are coming from, how many hands has it gone through and how many miles to market. Very close relationship with their food, which can give one a direct insight on the daily impact of Global Warming. Chaing Mai is a city in northern Thailand. 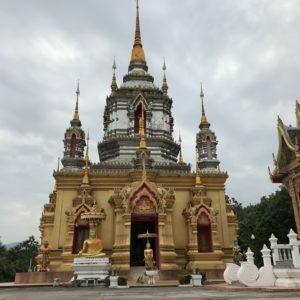 Established by 1226 and was the capital of the Lanna kingdom until 1558. Population is around a million people with a inner city population of twenty thousand. For me It felt like a very large town, not bombarded with sky scrapers or huge concreted metropolitan area`s . The Thai people point out the new tall buildings and malls that have been built over the past seven years and feel Chaing Mai will change over the next ten years and become more like Bangkok. They showed I the new roads and Huge neon sighns that were not around a few years ago.The increase in cars over the past ten years has trippled or more where as the streets would have much more scooters and bicycles, adding more Fossil Fuel thats thick in the air of this valley. Bamboo and Hemp are two of many natural fast growing plants that would be a major contributor in stopping the destruction of the worlds forests. This knowledge has been presented as an alternative to deforestation , as well as adding a thriving economic boost to countries who’s climates are suitable to growing these crops.Over the pas 30 years since I was involved with the green push to implement bamboo and hemp as sustainable building materials, Corporation controlled lobbyist of the timber industry and its building products have a strong voting and bureaucracy to not allow this change of ethics to happen. Bamboo and Hemp are a renewable crop, grows well with little or no fertilizer or water, ph balance of 7, no strain on the environment . From rooting to harvest bamboo has a much faster to mature growth to usable product than any tree species ,and can be processed into various types of building material. The trees that are being harvested in the US are very young, due to depletion of old growth forests, and do not have the tensil building strength of older mature trees. Teragren, the worlds largest bamboo building products manufacturer, has engineered a new structural joint made of moso, a strain of bamboo with the tensil strength of steel. America’s southern states would be ideal for growing bamboo and hemp. Meetings of engineer, bureaucrats, farmers an manufacturers in Greenville, Miss, gathered to discuss how land formerly cultivated for cotton might be converted to produce bamboo on a massive scale, creating a new profitable industry through out the southern states of America. Hemp is very versatile in the many building materials it can be organically processed into. Hemp can be made into any building material, including fiberboard, roofing, flooring, paint, particle board, plaster,caulking, plywood, insulation, insulation panels or spray-on insulation, concrete, concrete pipes, bricks and biodegradable plastics. Concrete made from Hemp is referred to as Hempcrete. A product that is stronger than concrete and breathes, allowing dust particles to settle and be cleaned, as dust molecules and particles do not settle on concrete creating allergies and a static energy with blocks the natural flow of nature. Also harsh on the structure of the human body. Hemp Crete is three times more resistant than regular concrete. Fire proof, water proof and earth quake proof. to manufacture concrete places more carbon in our atmosphere. Building a home with Hempcrete can save about 20,000 lbs of carbon being released into the atmosphere per home. Hempcrete continues to harden through out its life until it completely petrifies, becoming rock like lasting thousands of years. Besides all the other products that could be made from hemp, hopefully we can re evaluate these wonderful plant gifts. The technologies are here, to eliminate fossil fuel and clean the environment must be allowed to flourish. Free Energy. Our time is now, to become more active in creating a healthy harmonious existence while we are here, our duty do the better for the whole. Poppy Jones is the Herbalist in Residence at the Center for Earth Ethics. He facilitates forest walks and teaches identification, properties, and preparations of herbs and food for health. 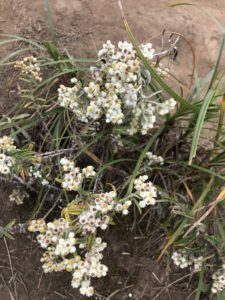 Some of his favorite plants, include the Pearly Everlasting pictured below. Pearly Everlasting. Growing in abundance on the slopes of Doi Inthanan . Very interesting seeing this plant growing here in Thailand, this herb also grows in New York state. the leaf structure was slightly different and the smell slightly different, this plant Ive been using the past ten years for lung ailments and as a nerving, to relive internal and external stress, emotional and physical. Opens the lung capillaries to take in oxygen smoothly, to alleviate colds and flu.